Today I had the wonderful opportunity of meeting a fellow blogger - Regula from Babajezas Wundertüte. It was so great to finally get to meet her and she is just as lovely as her blog. I have been following her blog for a long time now and we have so many things in common :) She happened to be travelling through a nearby town and asked if I would like to meet up. I was thrilled to have the opportunity and couldn't wait until this afternoon. I wondered if we would find each other in the mass of people and Regula said she was sure we would. As soon as I saw her I knew it was her and she felt the same! We had a wonderful chat and coffee, the sun even came out to play! She gifted me the beautiful heart you see above, isn't it gorgeous? 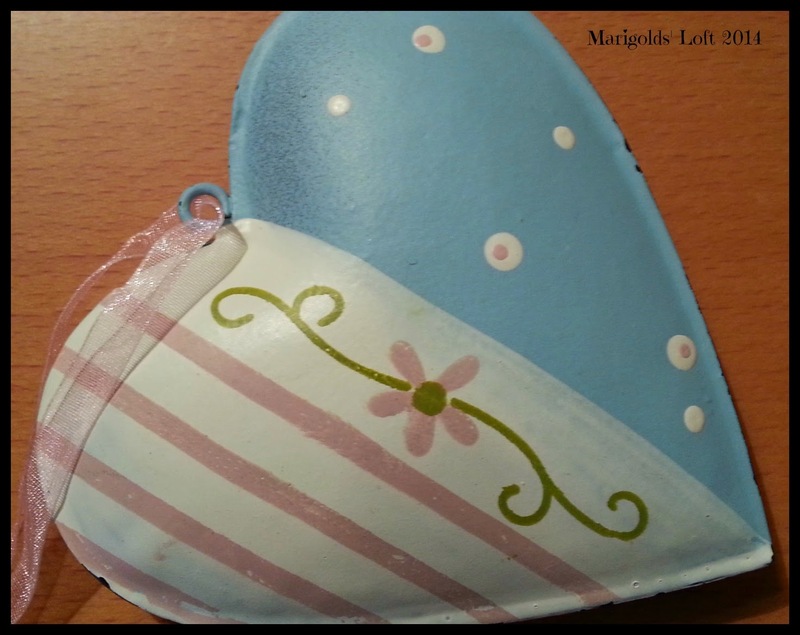 And now some more on the awesome Craftsy Course I am taking at the moment! 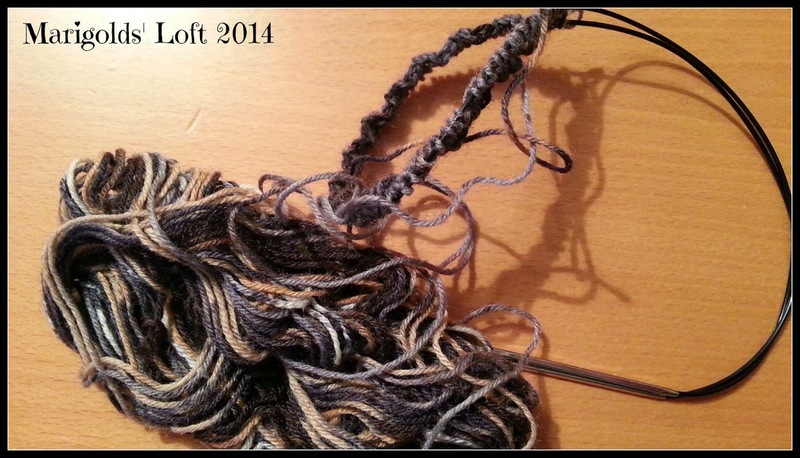 Yes,the yarn looks quite nice as a wristwarmer :) I look forward to seeing yours progress. Thanks for the flowers. :-) I had a wonderful time too. After breakfast I'm looking for a/the yarn store in Kandersteg. There must be one. :-) I always look for yarn stores on vacation. And I'm also looking for a murmeli fett. My arm hurts and I can't crochet anymore. Fortunately my fo for Friday is finished. :-) Can't wait to see you Tunisian fo. Oh dear, sorry to hear that it is getting worse. Have you tried some tissue salts? I find they help me really quickly when I have that kind of discomfort. 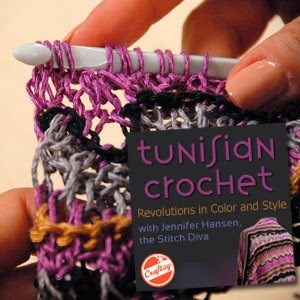 You have done an amazing job on the Tunisian crochet and so quickly, well done. 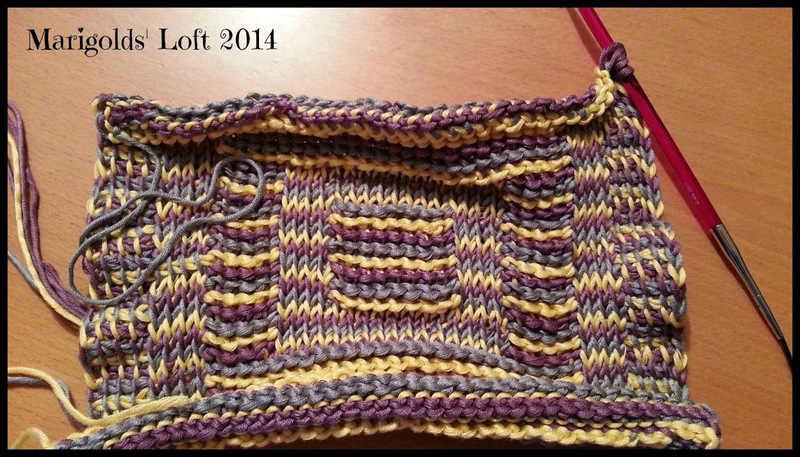 The yarn is gorgeous and great job on the Tunisian crochet! Thank you so much for your visit, have a great rest of your week.